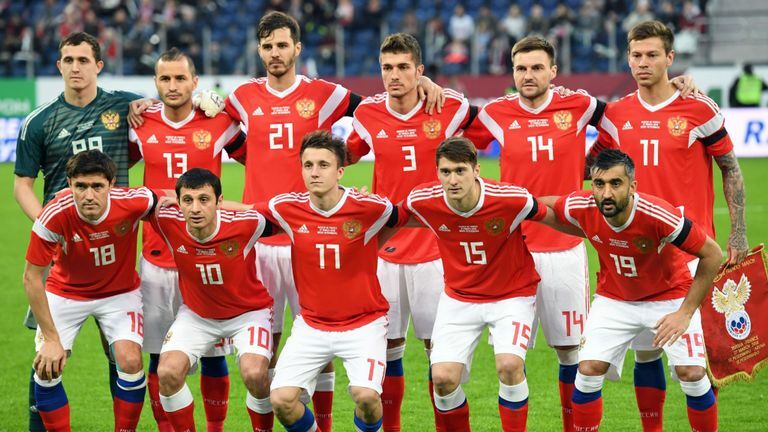 Without playing qualifiers, hosts Russia have played couple of friendlies to prepare for the 2018 World Cup – even playing against club side Dynamo Moscow in September 2017. Later on things became easier for the host nation when the European and South American teams had finished their qualifying matches, with Argentina coming to Moscow and Spain visiting Saint Petersburg in November, and friendlies against Brazil and France planned for March. Host Nation Russia are in Group A for the tournament and have been drawn along side Saudi Arabia, Egypt, and Uruguay. Host nation Russia will kick off the tournament against Saudi Arabia on the 14th of June. Five days later they will take on Egypt led by Mohammed Salah who might not be 100% fit due to a shoulder injury sustained on Champios League finals, before ending their group stage with a match against impressive Uruguay on the 25th of June. Igor Akinfeev is the first-choice keeper and has proved his capabilities on several occasions. Although injuries prone, versatile box-to-box midfielder Alan Dzagoev is also key threat in midfield. Key players like Ignashevich, along with Vasili and Alexei Berezutskiy, quit international football and their absence is a major headache for the coach who has had to totally replace his back three. GOALKEEPERS: Igor Akinfeev (CSKA Moscow) , Andrey Semenov (Akhmat Grozny), Andrey Lunev (Zenit St Petersburg), Vladimir Gabulov (Club Brugge). DEFENDERS: Vladimir Granat (Rubin Kazan), Ilya Kutepov (Spartak Moscow), Fedor Kudryashov (Rubin Kazan),Igor Smolnikov (Zenit St Petersburg), Sergei Ignashevich, Mario Fernandes (both CSKA Mo,scow), . MIDFIELDERS: Yuri Gazinskiy (Krasnodar), Alexsandr Golovin (Spartak Moscow), Roman Zobnin (Spartak Moscow), Alexsandr Samedov ( CSKA Moscow), Alan Dzagoev ( CSKA Moscow), Aleksandr Erokhin, Yuri Zhirkov, Daler Kuzyaev (all Zenit St Petersburg), , Anton Miranchuk (Lokomotiv Moscow), Denis Cheryshev (Villarreal). Aleksandr Kokorin Zenit St Petersburg forward could miss the tournament after rupturing ligaments in his knee. Centre-back Georgi Dzhikiya also suffered a serious knee injury and likely to miss the tournament. Viktor Vasin is also a major doubt and likely to miss the tournament after suffering a serious knee injury. you may also like our previous posts on all nations 23 man squad, world cup missing XI, why Sane was left out of German WC squad by clicking on the links.